Sky subscribers will be able to watch Lydia Ko take on the world’s best women golfers again from this weekend, with the resumption of LPGA coverage on its Sky Sport channels. PGA tourments will also resume, from next month’s coverage of The Greenbrier Classic (July 4-10). But the bad news for non-subscribers is TVNZ will lose its free-to-air rights, which means Duke will no longer carry PGA or LPGA coverage from July 1. The PGA Tour and the LPGA jointly announced the agreements with Sky this morning after launching, through separate agreements with Coliseum Sports Media (CSM)/Lightbox, OTT subscription services in 2015 respectively known as PGA Tour Live and World Golf Pass. While subscriber levels were healthy and the product was excellent, it became apparent after more than a year that many New Zealand golf fans did not have the necessary comfort in their broadband connectivity to maximise the viewing experience. The best course of action was to return to broadcast television and SKY Sport, which held broadcast rights to both Tours prior to their move to the OTT service. 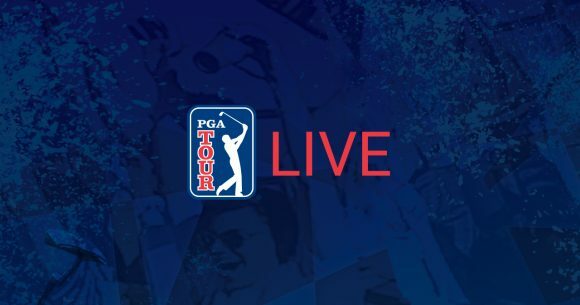 PGA Tour coverage will remain on PGA Tour Live until the week of The Greenbrier Classic, at which time existing subscribers will be fully refunded for the remainder of their subscription. Sky will also provide PGA Tour Live subscribers with a free installation for those wishing to continue watching the PGA Tour and LPGA on the network. The PGA Tour will maintain an OTT presence in New Zealand through its global product, also called PGA Tour Live, which provides live coverage of early-round Featured Groups as well as Featured Hole coverage. This service will be provided for free to existing PGA Tour Live subscribers through the end of the year. Interesting that the LPGA used to be FTA on Sommet sports until Lydia Ko started to win, then Sky grabbed it. Actually it used to be on Sommet until Sommet ran out of cash. LPGA needed to go somewhere and no one else stumped up the cash. Then CSM, riding out as the great white hope to save us from big bad Sky, acquired the rights and re-introduced them back on FTA via TVNZ’s popup (which, incidentally, now has lots of old Sommet Sports rights too). And now the experiment has failed – either because NZ wasnt prepared to pay the right price for individual seasons of sport or ???? Plenty of marketing, plenty of streaming households (c20-24%), plenty of fibre (now 20% of passed homes are connected), plenty of data usage growth. Just not the inclination to pay for content. I’m not so sure it was lack of inclination to pay for content as much as televised golf not having the critical mass in this market that rugby or cricket has to make such an initiative pay. TV3 and TV One tried several times to make live FTA golf work before it was sidelined to late-night or FTA niches like Sommet and Duke. Moreover, watching streamed golf was inferior to Sky’s delivery, with limited functionality spoiling the ability to play back key shots or fast forward recorded coverage. I never suffered streaming issues on VDSL broadband but was frustrated by the software’s limitations. Sky have also announced this afternoon through Tony Veitch’s radio show that they will have English Premier League football via two Bein Sports channels (one will carry EPL and the other Spanish, French football). There will be pop-up channels when games overlap. It’ll cost $12 a month on top of a Sky subscription. Thanks for the heads-up, Clint. Sky has still to issue a press release — no doubt they’ll use the Sunday papers to make a splash about the deal. I sometimes wonder about their PR strategy, but you’d hope so! There’s nothing even mentioning it on their social media, despite their director of sport talking on radio about it.